Anesthesia is a treatment used to reduce or prevent pain, relax or sedate a person during a procedure. Local anesthesia is used to numb a specific area, where the procedure will take place, to prevent the patient from experiencing pain during the treatment. Different ways of administering local anesthesia included topical anesthetics or creams to soothe and numb an area or injectable anesthetics use to treat more complex procedures by blocking the nerves. A local anesthetic will cause your mouth, teeth and gums to become numb for several hours. You may feel heat, cold or pressure, but you will not feel pain. Other anesthetic treatments include full sedation which leaves the patient unconscious during the longer and more complicated procedures or in case the patient suffers from anxiety and needs to be calmed and relaxed for the procedures. 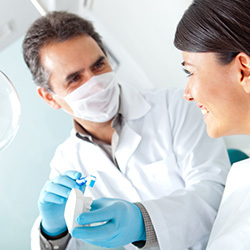 Sedation may be in the form of a pre-visit anti-anxiety medication or nitrous oxide administered in the office. A sedative, such as nitrous oxide, will cause you to feel groggy, relaxed or even euphoric, but these feelings wear off almost immediately at the end of your procedure when the dentist administers oxygen. 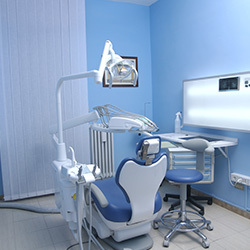 Read More About Sedation Dentistry. 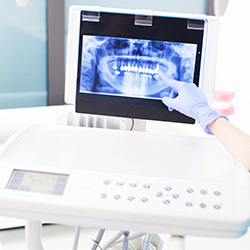 Check with our dentists at Dental Savers – Fairless Hills, PA to decide what option is the best and safest for you according to your health, pain and anxiety levels. Call us today to make an appointment!